Bob Tisdale has also shown how the temperature increase of the 65-year cycle from 1975 to 1998 led to the assumption that it is due CO2 emissions because they too happened to be parallel. 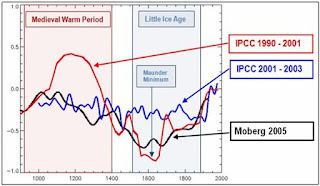 This has been naively extended all the way to the year 2100 and forms the basis for the climate models and the invention of the so-called “climate catastrophe”. 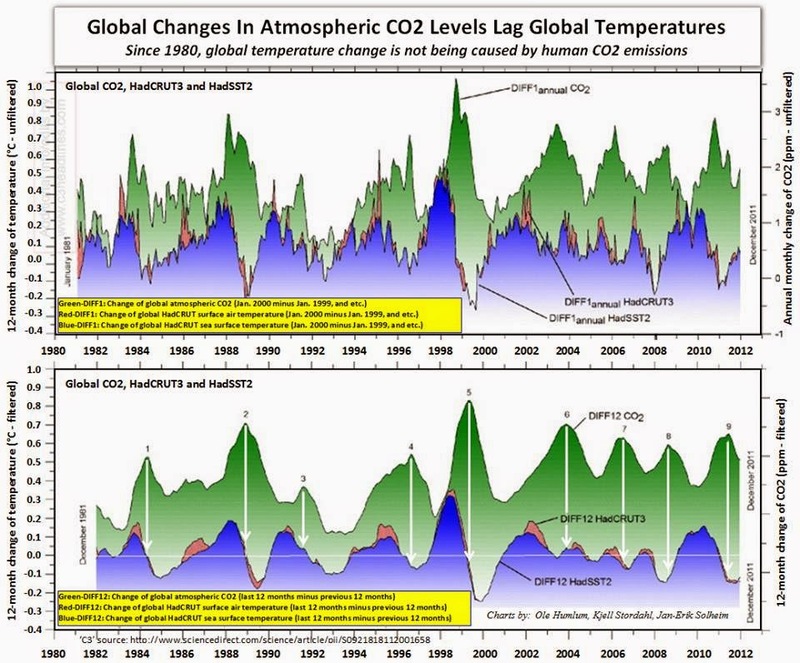 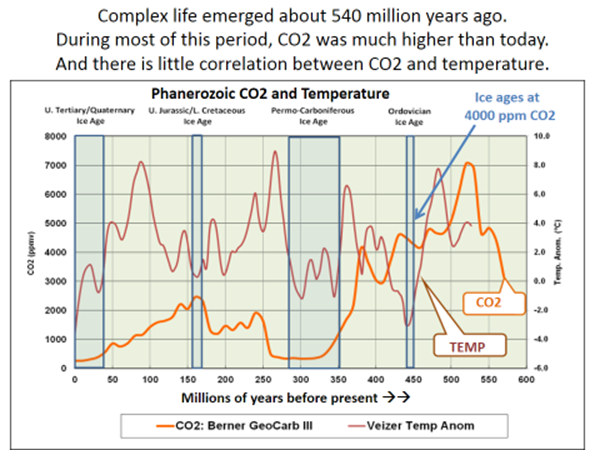 The relationship between CO2 and temperature this century. 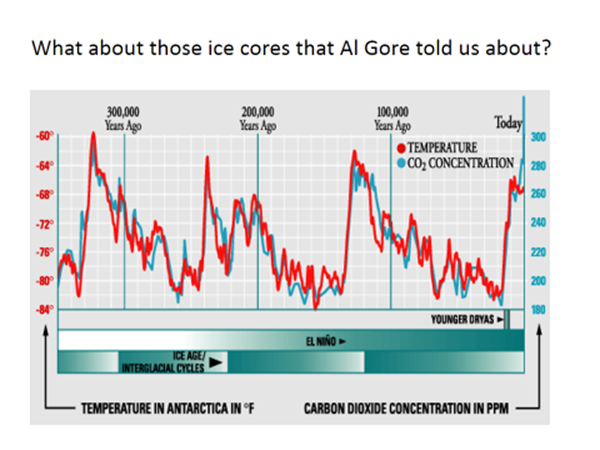 The above graph by Ian Hill. 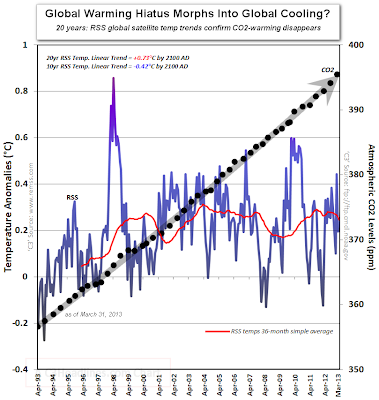 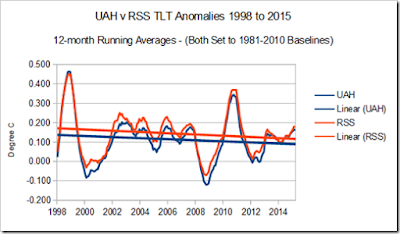 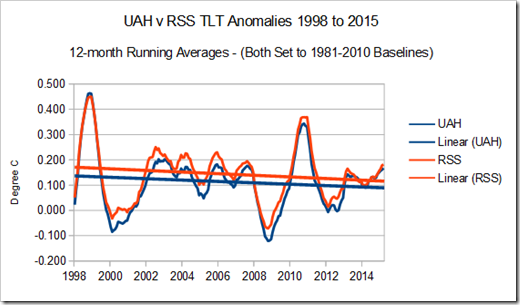 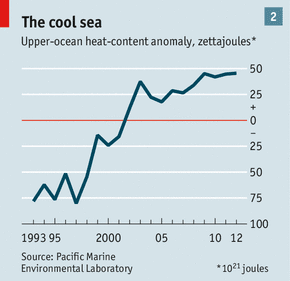 RSS and UHI both show cooling this century. Source. 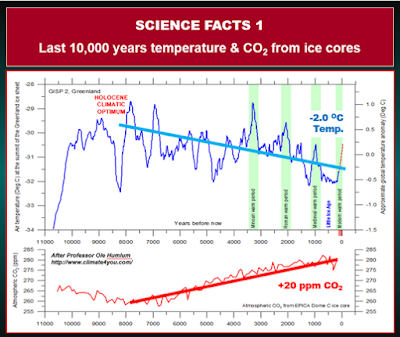 Great Barrier Reef which makes the recent scare about bleaching garbage. 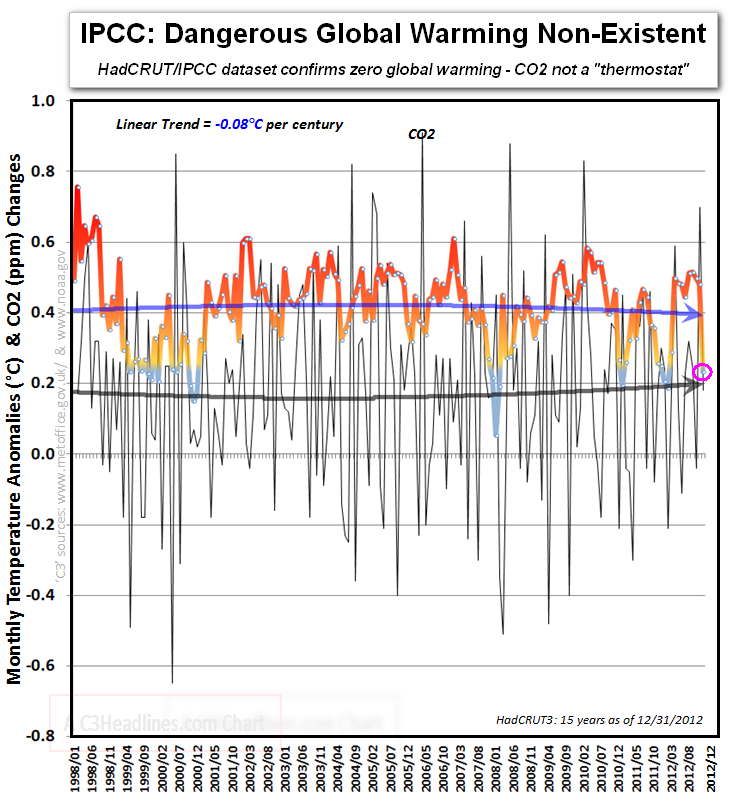 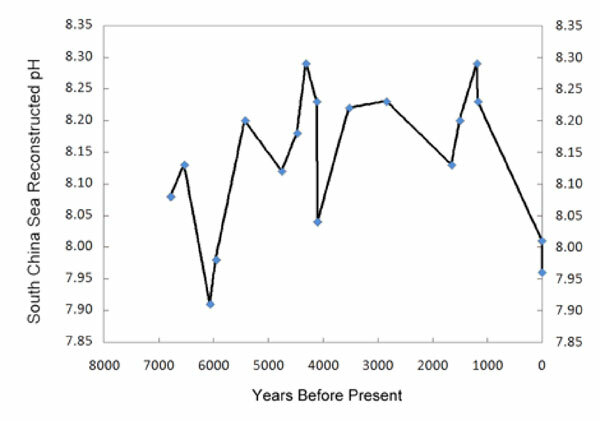 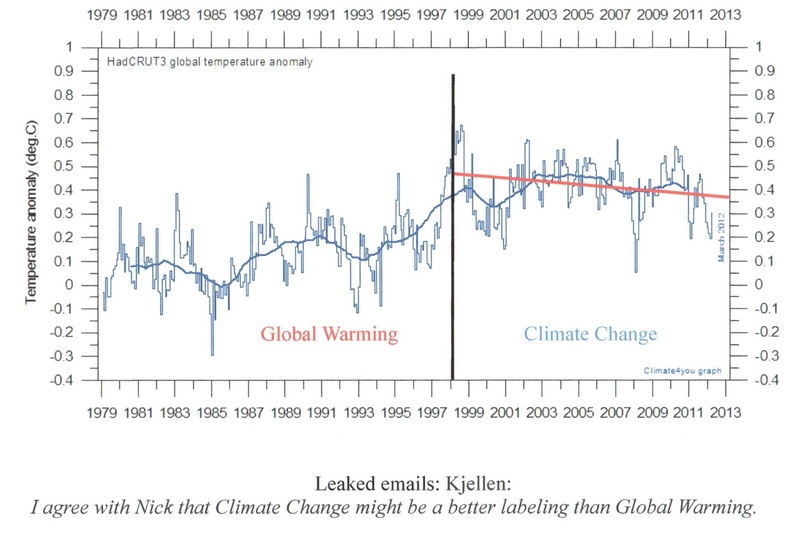 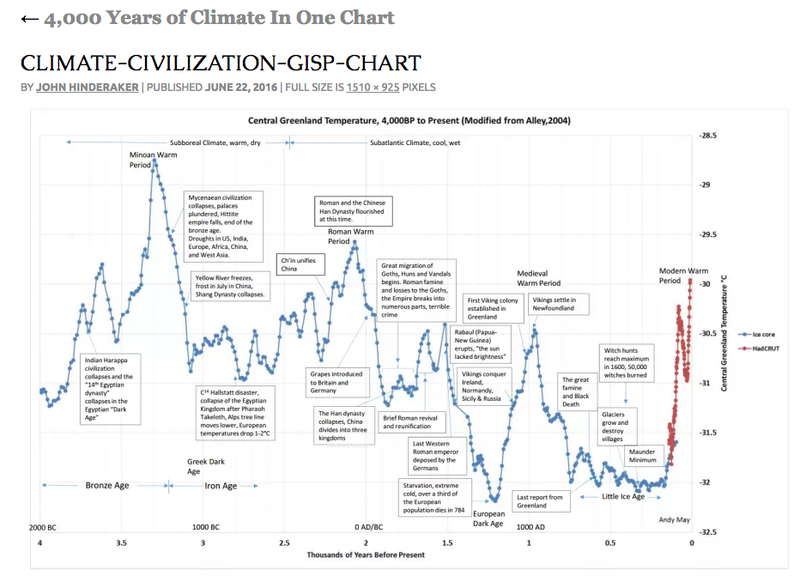 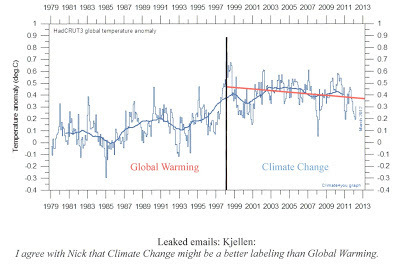 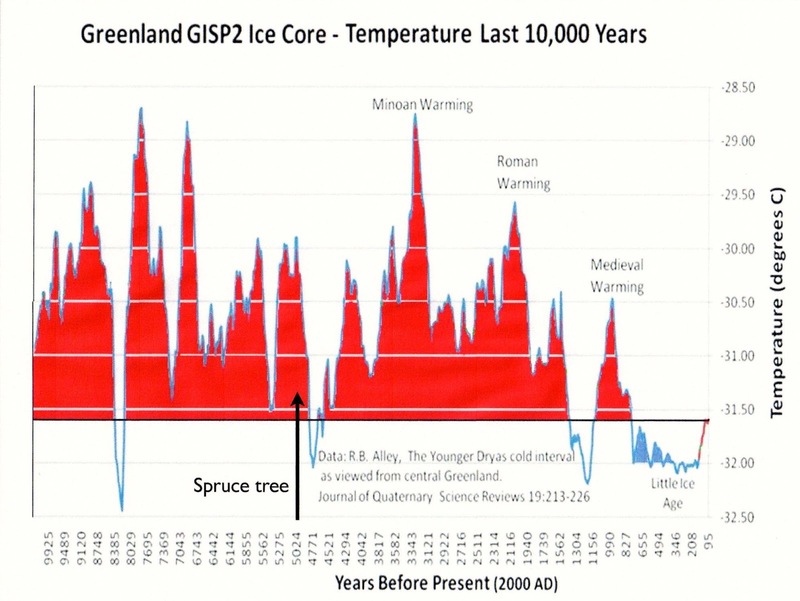 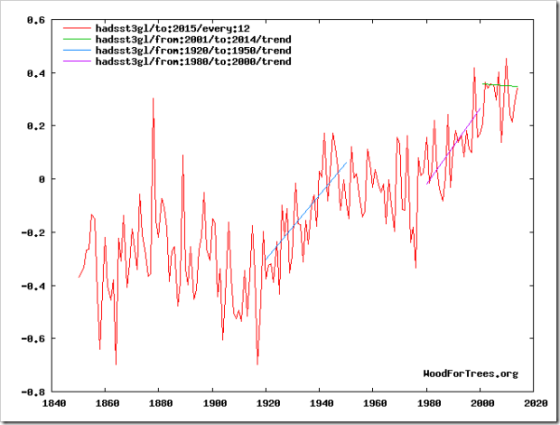 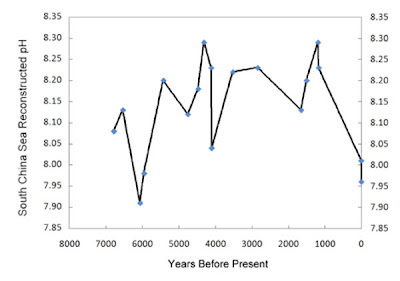 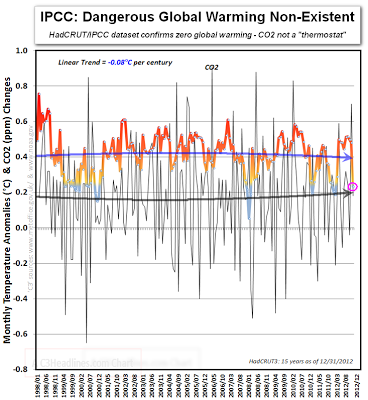 The graph reflects regional Greenland and not global temperatures, but that does not make it a cherry pick, because many other lines of evidence are consistent with the Holocene Climatic Optimum (HCO) being marked by temperatures 1-2 deg. 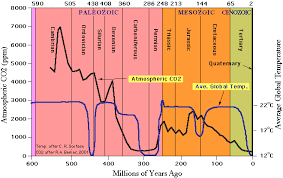 C above those of today. 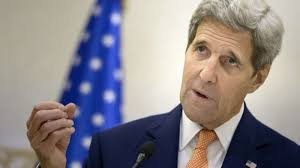 The "truth" is: that there is absolutely nothing unusual about temperatures in the first decade of the 21st century, nor about the gentle warming that occurred in the late 20th century. 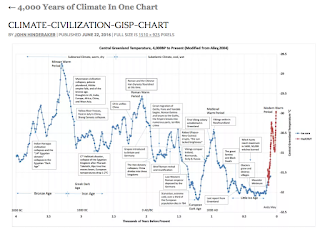 4000 Years of Civilisation in one Chart. 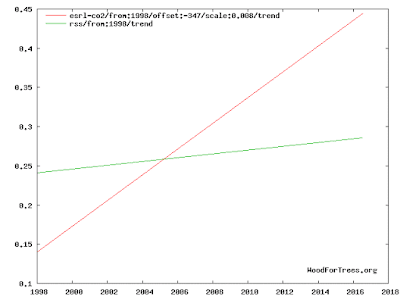 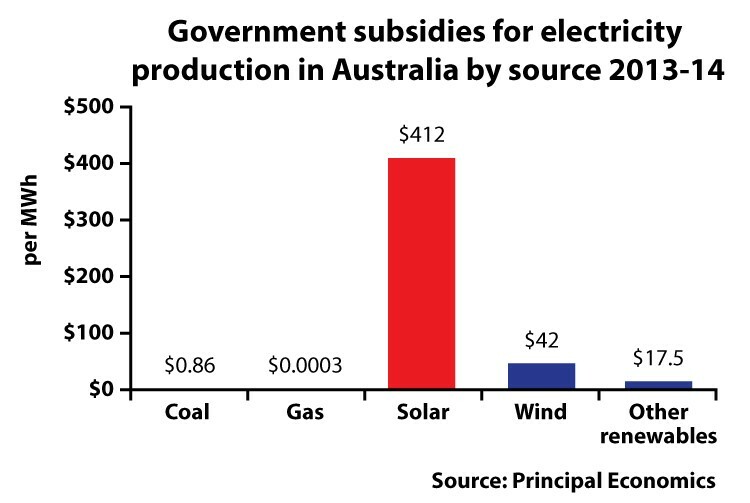 We can see the step up in 1998, since when things have largely levelled off. 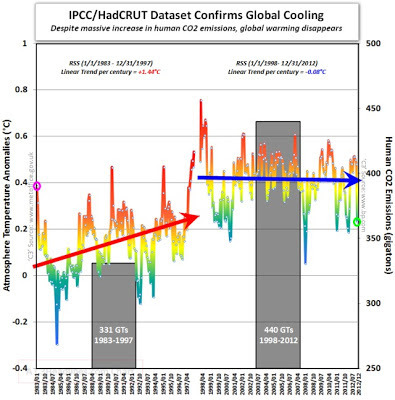 What is also noticeable though is the rapid warming from 1920 to 1950, which was a a similar rate to the more recent warming between 1980 and 2000. 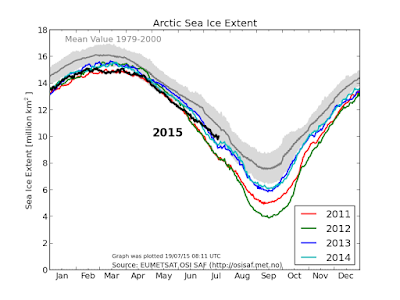 Total sea ice extent on the northern hemisphere during the past years, including climate mean; plus/minus 1 standard deviation. The ice extent values are calculated from the ice type data from theOcean and Sea Ice, Satellite Application Facility (OSISAF), where areas with ice concentration higher than 15% are classified as ice. 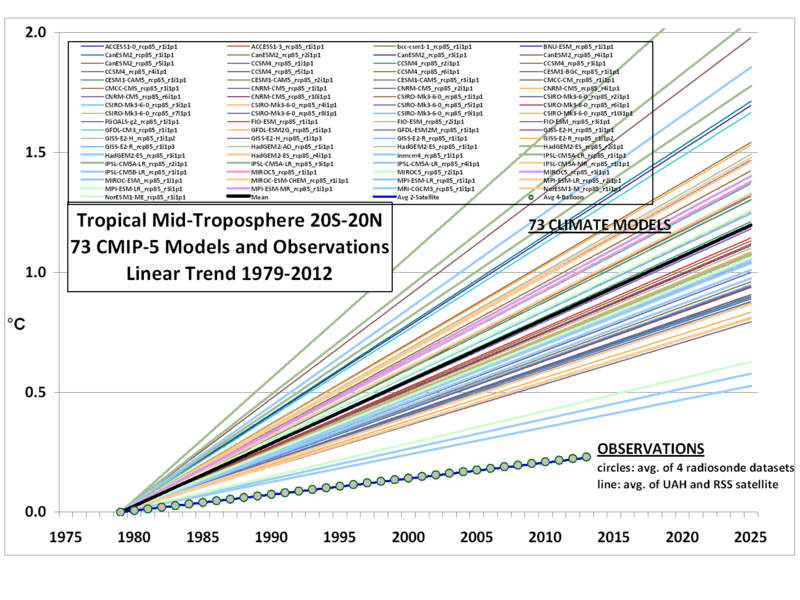 Courtesy of John Christy, a comparison between 73 CMIP5 models (archived at the KNMI Climate Explorer website) and observations for the tropical bulk tropospheric temperature (aka “MT”) since 1979 (click for large version). 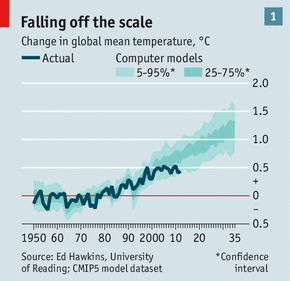 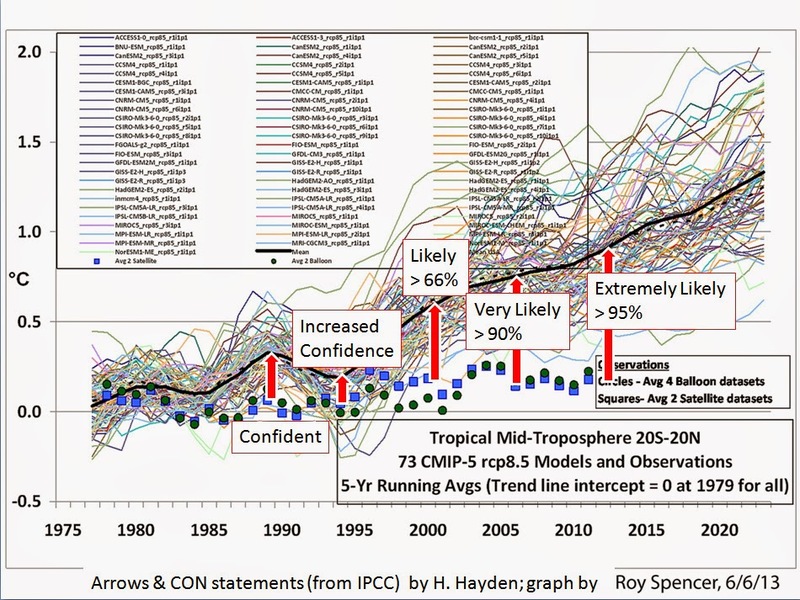 THE farther the models get away from observations, the greater becomes the IPCC's "confidence" in the falsified hoax. 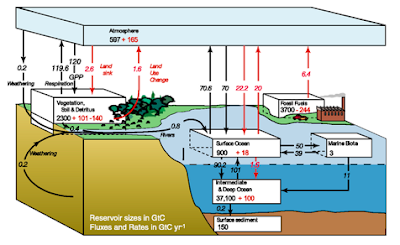 Just how much of the "Greenhouse Effect" is caused by human activity? 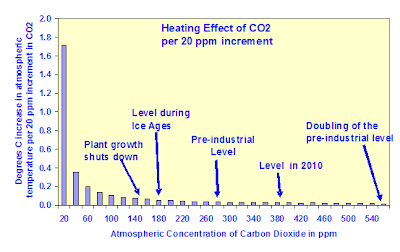 It is about 0.28%, if water vapor is taken into account-- about 5.53%, if not. 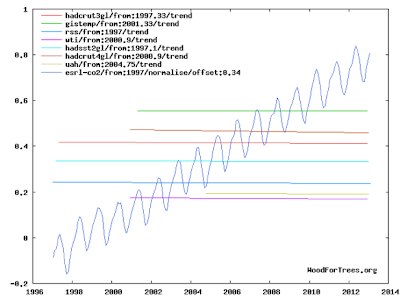 It helps to visualise what it is the RSS has correct. 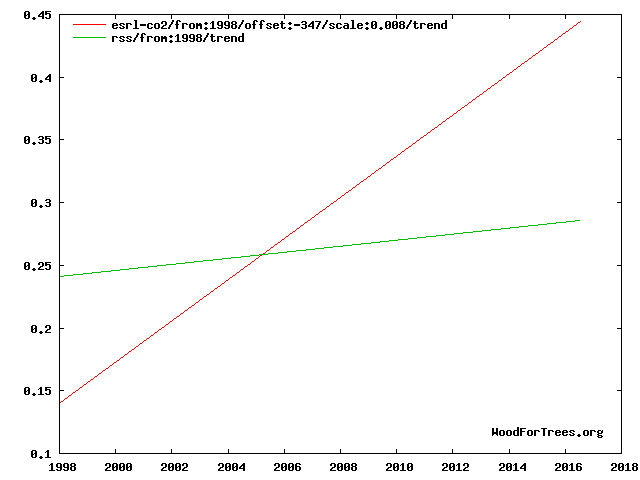 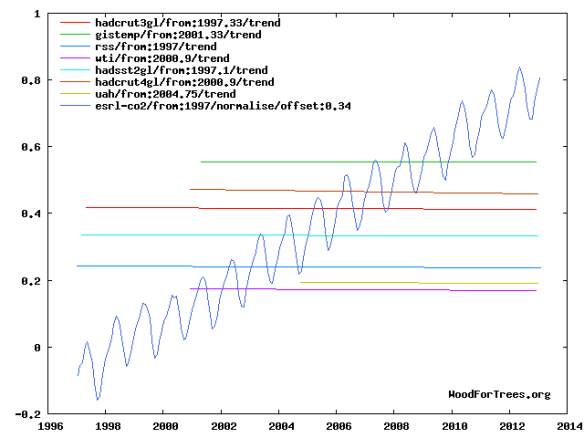 No warming for over 20 years. 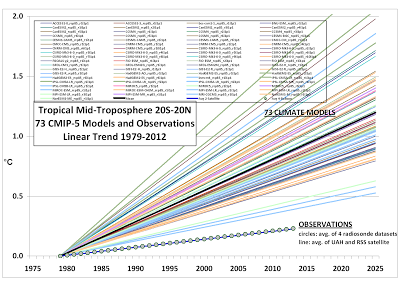 And these idiots use this as evidence of a tropospheric hotspot? 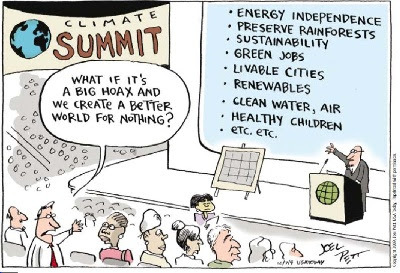 Pull the other one! 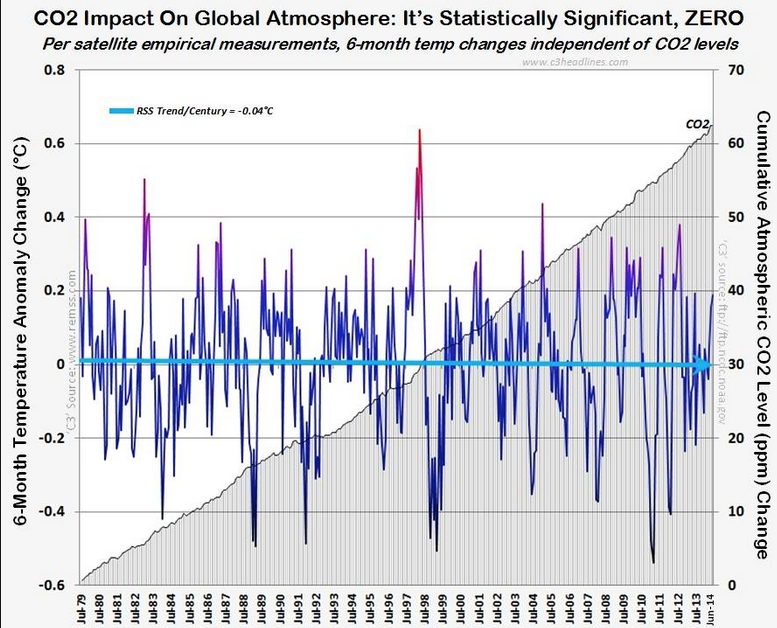 Thank you for a wealth of statistics! Geoff. 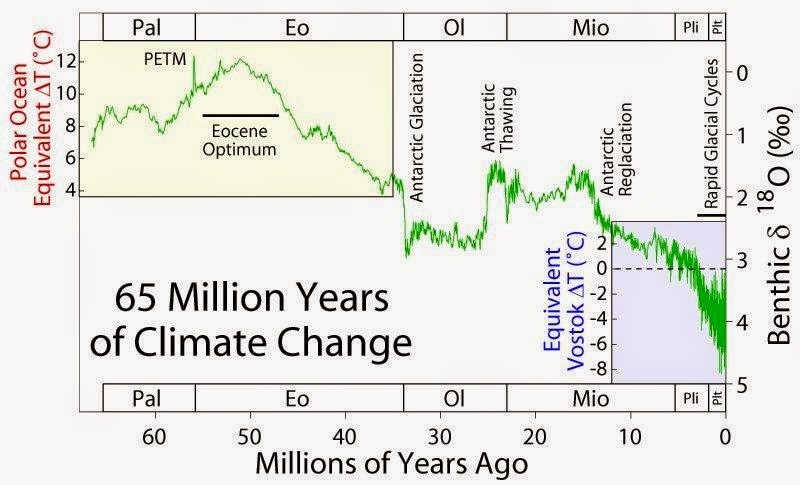 In the graph - would be great if it were edited such that the 'consensus' view of when AGW first becomes observable/measurable, was delineated. 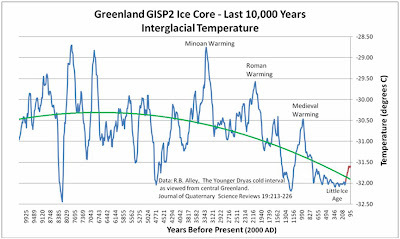 That would be somewhere in the period between the mid 20th Century to the late 1970's. 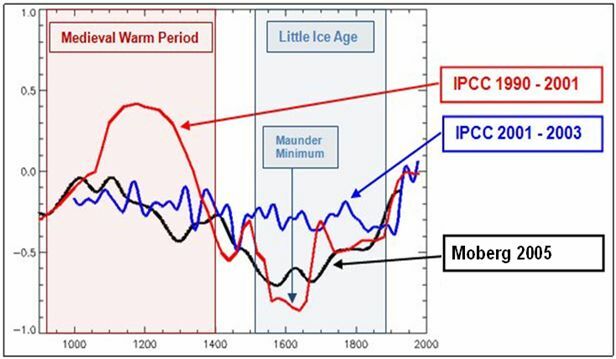 Bottom line is that the first two cycles of warming are considered completely naturally occurring and that only the last warming cycle is 'said' to have a human footprint in it.